Are you aware of all considerations for your student trip to Costa Rica? Planning a student educational trip all by yourself can be very difficult! Learn what questions to ask about meeting your trip goals, cost, travel insurance, vaccines, communication, and more. This is our passion. Learn from us! Are you aware of all considerations for your student trip to Costa Rica? 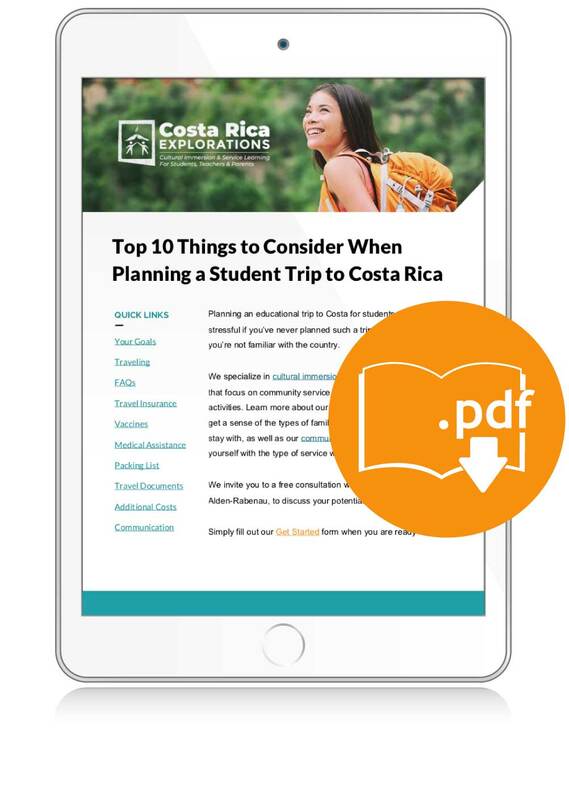 Download our expert advice on the Top 10 Things to Consider When Traveling With Students to Costa Rica. Planning a student educational trip all by yourself can be very difficult! Learn what questions to ask about meeting your trip goals, cost, travel insurance, vaccines, communication, and more. This is our passion. Learn from us!